Durham County Cricket Club have missed out on selection as a host venue for the new regional English T20 competition, which begins in 2020. But the Emirates Riverside has secured international cricket up until 2024, including a clash against Australia in 2020. A Durham statement read: “After weeks of deliberation by the ECB panel, the club was today delighted to hear that Emirates Riverside had secured major international cricket fixtures until 2024. “The ECB’s announcement confirmed that Emirates Riverside would host three England internationals following the 2019 World Cup including the Three Lions’ mouth-watering clash against Australia in 2020. “England will face Sri Lanka at Emirates Riverside in 2021, with South Africa visiting Chester-le-Street the following year. Durham have been promised leading opposition to be announced for their fixtures in 2023 and 2024. 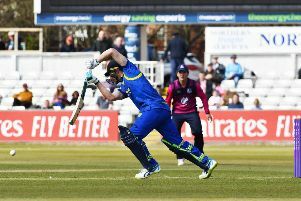 Durham chairman Sir Ian Botham said: “We’re delighted to have secured international cricket at Emirates Riverside and thrilled that we have managed to keep top level sport in the region. “We will continue to identify future opportunities for the club and, although we’re disappointed with not being given the chance to host one of the regional teams in the new T20 tournament, we will continue to back the competition and encourage sports fans to get behind it.